Good handwriting is a skill which develops in childhood and remains lifelong. In spite of the latest techniques in teaching and learning, the old fashioned handwriting still holds an important place in our education. It reflects one aspect of the child’s personality. Some children are able to write beautifully well but there are many who have to struggle a lot to acquire this skill. 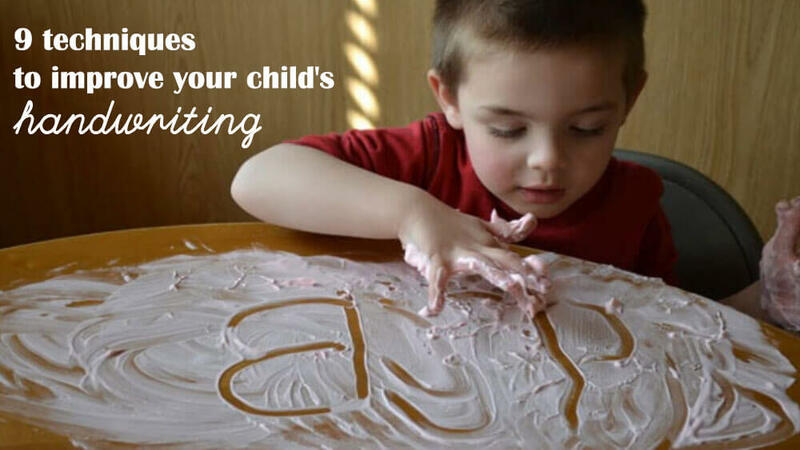 We as parents need to help and guide our children in this task, but how do you help your kid improve his handwriting? Read further to know more. What are the reasons behind bad handwriting? Many times we assume that the child is careless or not interested in writing which is not correct. The child is often punished or shouted at for his bad handwriting. We as parents have to investigate and find out the reasons for the lack of interest in writing in our child. When writing there should be control and coordination between the muscles of the hand and arm which in turn controls the muscles of the wrist and fingers. 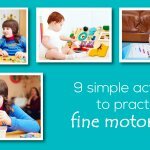 As parents, we should ascertain if there is any problem with the motor skills of the child. Many times we see a child who starts writing on the lines but as he progresses, the direction of the writing changes and goes out of the line. This is a common error in handwriting known as “ poor baseline orientation” or “keeping the letters on the line”. This happens due to conditions known as Visual – Perceptual and Visual-Motor Deficits. Visual perception helps to make sense of what one is seeing. Whereas visual motor skills help fine motor movements to place the pencil where the eye thinks it needs to go. Having a good grip on the pencil is very important in writing. When the child holds the pencil incorrectly, the handwriting gets spoiled, the child’s hand will ache and ultimately he will lose interest in writing. The thumb, forefinger and the middle finger play an important role in having a good grip. You may also like to read: How to develop a toddler’s skills? How to help kids improve handwriting? Using the right stationery is quite integral. I have often seen children struggle because of poor quality of pencil and paper where their writing won’t be visible properly. The surface of the paper must be such that it offers good friction to write on it. The pencil size should be of the right size, not too long or too short. The pencil should have medium range lead such as HB. Writing with softer lead such as 2B won’t make the words visible on the paper. Pencil’s grip should be firm but not too firm. As the child learns to relax, he can hold the pencil gently. The pencil should be held with the thumb and the index finger. The middle finger should support from below. The pencil should rest on the bridge between the index finger and thumb. Putting too much pressure on the grip will cramp the muscles and hurt the fingers. As a result, the handwriting becomes floppy and there would be an imprint of the words on the next page. Putting the right pressure on the grip is as important as the grip. The child has to learn to relax the grip on the pencil whenever the pressure is too much. When the child is writing, the surroundings and the environment should be such that it should not distract the child. There should be no conversations going on between adults or the television should be switched off when the child is trying to concentrate on writing. Providing a four ruled paper or notebook will help the child to write capital letters and lower case letters. A square line notebook will help the child to write the numbers in the correct proportion size. Slowly he can progress to write on two line paper or even plane sheet. The child sitting on a couch or floor while writing is not the correct posture. Having a good study table and chair will help the child to sit in the right posture which is required for writing. 7. Overcoming poor baseline orientation. There are easy ways to overcome baseline orientation or in other words writing letters on the line. Children can use Wiki Stix also known as Bendaroos or flexible sticks to write letters on the line. A play way method is to squeeze glue over lines such as racetracks, shapes, mazes, and letters. This helps to strengthen visual perceptual, visual motor skills and fine motor skills which are required for writing on the line. As a parent, we can draw lines, dots, shapes, angles, etc., on the graph paper and ask the child to copy it. The child will need to keep the pencil on the line of the graph paper and start where the model line starts and stop where the model line ends. This exercise will give better pencil control and size control of the alphabet. The meaning of “cursive” is to join. In cursive writing, the letters are written by using continuous strokes to form words. Lowercase letters are joined together by a connector, while uppercase letters are not required to join. Four ruled pages are perfect for a child to practice cursive writing. There are many cursive writing worksheets also available. A child who is comfortable with pencil grip and mastered writing the alphabets can be initiated into cursive handwriting. Cursive writing can be practiced in grade 1 or 2. The children need to read and recognize the letters before they start writing. Before actually holding the pencil, the children should play a lot of activities with fingers that would help improve motor skills. Some of the activities are playing with pebbles, sand, plasticine, spray bottle, scissors, crayons, markers, etc. Do not rush the child into holding a pencil and writing letters on handwriting sheets. Give him a variety of surfaces and materials to experiment. Sugar, salt, rice, sand board, etc for the child to draw or make patterns. Drawing with chalk on the floor or walls which the children really love to do. 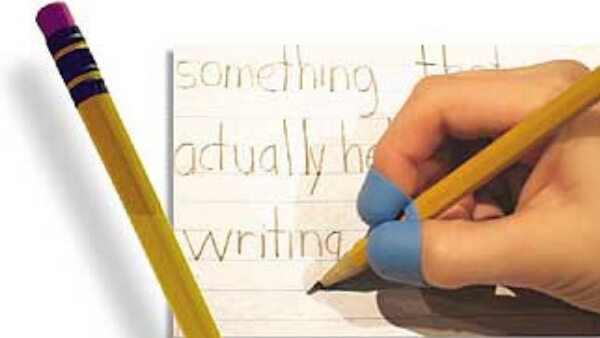 Once the child gets the grip of the pencil, he starts writing without any sequence which leads to bad handwriting. The child should be made aware that each letter in the alphabet is made up of vertical, horizontal, curved or circular and diagonal lines. After getting a grip of the pencil, the child should start with drawing vertical lines and then move further to horizontal, circular and diagonal lines. Following this sequence would help the child to improve writing. When a child starts writing, it should be a fun activity. This will motivate the child to write. The importance of handwriting should be taught from an early stage so that any flaws or mistakes related to it can be corrected. Once a particular habit of writing is formed, it is very difficult to correct. 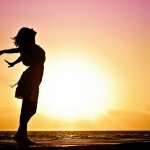 Memory too plays an important role in writing. Recognition and reading of alphabets should be preceded to writing. Once the child has adapted to a beautiful pattern of writing, it will be plus point and will remain so for lifelong. 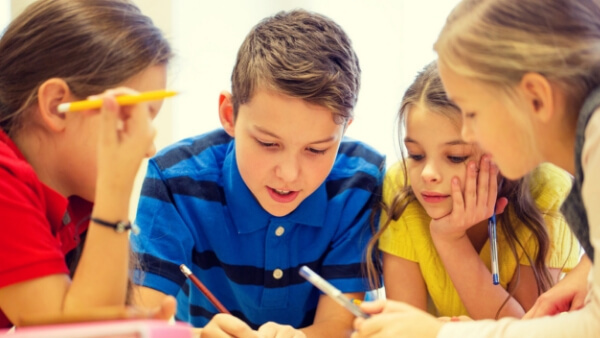 The untold secret to improve concentration in kids in a month! How & why it is important for your child to know different languages?